You might be lowering your expectations for buying a tablet under $300, but the scenario has totally changed now. There are a lot of budget tablets available in the market which offers better overall performance and usability for the price as low as $300. 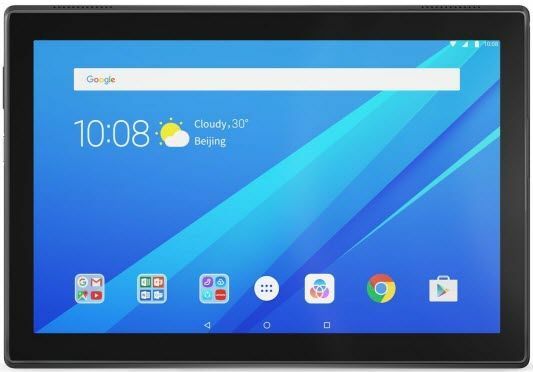 Well, they might not be the best tablets in the market with top-notch specifications and latest features, but they can surely help you to get your every day works done and keep you entertained. So, what are the best tablets under $300 available to buy? Let’s find them out! There are plenty of choices available for tablets under $300 and we know how difficult it is to pick the best tablet from all of them. To reduce your efforts and save your time, we have featured list of our top 10 picks for best tablets under $300 in accordance of performance, hardware specifications, build quality and other important factors. Tablets are great for media consumption and the Huawei MediaPad M5 reflects it with its sharp and bright display and Harman-Kardon certified loudspeakers. That said, the Huawei MediaPad M5 is our most recommended tablet under $300 for media consumption, we can also call it an affordable iPad Mini 4 running on Android OS. Just like iPads, the Huawei MediaPad M3 highlights a stylish narrow bezel and light-weight uni-body aluminium design and this is where it stands out from most of the android tablets in the market. Moreover, the performance is as impressive as its design with the Hi-Silicon Octa-Core Processor and 4GB RAM for flawless multi-tasking and gaming. There’s also a fingerprint sensor on the physical home button to enhance the security of tablet and to make secure and fast online payments. On a conclusive note we didn’t notice any downside of this tablet and hence the Huawei MediaPad M5 is one of our top recommendations for tablets under $300. iPad Model 2018 is the premium tablet from Apple which offers perfectly balanced performance packed inside its beautiful metallic unibody design. It may not be able to prove it by specs on paper but the real-world performance of apps and games on this tablet is far better than many other Android tablets in the same price range. It is powered by Apple’s A10 Fusion Chip which is outstanding for handling powerful apps, gaming and for photo and video editing and it has got 2GB of RAM which still manages to keep apps and games running in the background to easily switch and work on them simultaneously. The model particularly falling at $300 price range comes with 32GB onboard storage which is very low and that’s the only and major drawback of this tablet. Well, there is 128GB variant available for this iPad but it is priced above 300 dollars. The new iPad 2018 is optimized especially for students for taking notes and stuff as it supports Apple Pencil now. With the Apple Pencil, students can quickly write down the points in the classroom on their iPad. Moreover, artists and illustrators can also now use the iPad 2018 with the support of Apple Pencil. Hence, the new iPad is surely one of the best and most capable tablets under $300 to buy right now. Note: As the title says “best tablet under $300”, the iPad 2018 is priced slightly above $300. We mentioned this iPad in the list because if you were to buy a tablet of $300, then why not spend a few more bucks and get better value in return. If you are a student or a businessman who is looking for a stylish and powerful tablet at an affordable price then the ASUS ZenPad 3S is the perfect tablet for your everyday requirements. It has a 9.7-inch 2K display on the front which delivers bright and accurate colors with excellent viewing angles. Beneath the tablet, there is Mediatek MT8176 Hexa-Core chipset and 4GB RAM, making it really punchy and responsive to use. For gaming, there is an integrated graphics processor under the hood that delivers smooth and immersive gaming experience and handles all the latest games with ease. The 5900 mAh battery is massive to keep the entertainment going throughout the day. With Qualcomm Quick Charge 3.0 technology, the ZenPad 3S can be juiced up in just a few hours. On the front, it also has a finger-print sensor which lets you unlock your tablet in a fraction of seconds, providing the perfect blend of security and convenience. Overall, the ASUS ZenPad 3S is one of the best tablets under $300 price-range, providing the best mixture of work and play. Comparing it with Apple’s iPad Pro, the ZenPad 10S comes at half the price of iPad Pro with the same screen size and resolution and is also thinner and lighter in weight. The ZenPad 10S comes with 64GB of internal storage, that is double of iPad Pro’s base model and you can also further expand it upto 128GB. 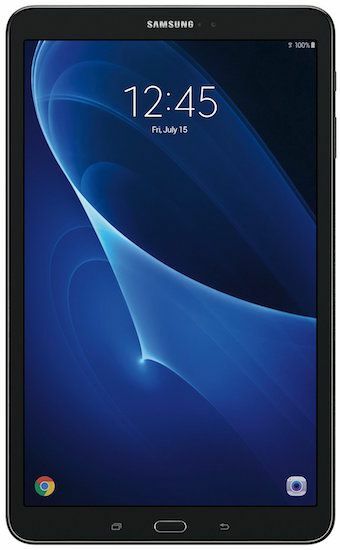 Samsung Galaxy Tab A is the perfect all-purpose tablet in $300 price range. It has got a lot of unique and useful features which makes it a perfect tablet for all types of uses. The best feature of this tablet is, it comes with Samsung’s Kids subscription which gives access to a lot of apps, games and books that are specially made for kids to help them learn on their own with this tablet. 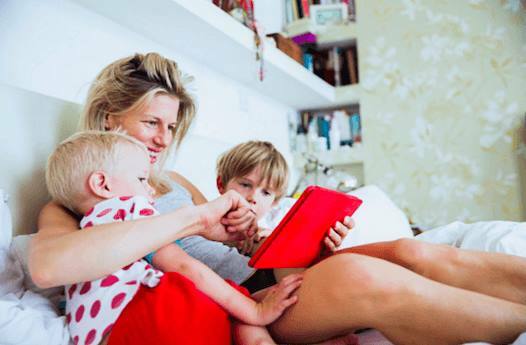 As a parent, you can set a time limit of usage of the tablet and also block apps or features which might not be good or safe for your children. Apart from that, it is still a complete Android tablet that can be used for other day-to-day uses. It has 10.1 inches of high-resolution display which is perfect for outdoor as well as indoor usage. It comes with Samsung’s own Exynos 7870 chipset with 1.6GHz Octa-Core Processor and it is paired with sufficient 2GB of RAM for efficient multitasking. It features an 8MP rear camera which is capable to take pretty great quality photos and videos and its 2MP front camera is also ideal for video calling. It runs Android Marshmallow straight out of the box and it is also in the queue to receive the latest Android Nougat update. For storing all your work files, favorite movies and games, it provides 16GB of inbuilt storage and it also features a microSD card slot to increase its memory up to 200 GB! Samsung Galaxy Tab A is the perfect general purpose tablet or a tablet for home or for kids. It is also a complete package for businessmen because it weighs just 1.6 pounds and it can run up to 13 hours on a single charge of battery. We think Samsung Galaxy Tab A is among the few tablets under $300 which will live up to the expectations of most people. The Lenovo Yoga Tab 3 Plus is equipped with 3 GB RAM and Snapdragon 652 octa-core chipset, together provides best in class performance. Along with 32 GB internal storage we also have micro SD card slot which can be further expanded upto 256 GB. Its sharp 10.1 inch display of 2560 x 1600 resolution produces bright and vivid colors, making it easy to use in outdoor conditions. Compared to its competitors, Yoga Tab 3 Plus has got one of the best cameras (13 MP) which takes some pretty great shots. The JBL powered speaker on bottom is very loud and provides immersive experience while watching movies. 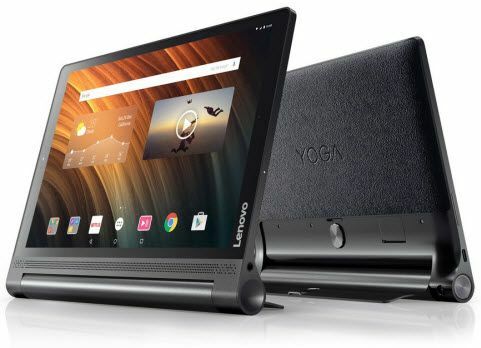 Lenovo claims that the tablet lasts long upto 18 hours on single charge. On a simple note, the Lenovo Yoga Tab 3 Plus is one of the best 10 inch tablets under $300 for media consumption and everyday use. 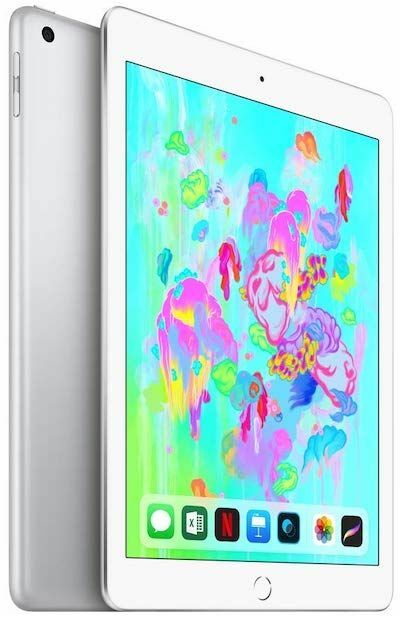 The iPad Mini 4 is currently one of the most popular small form-factor tablets on the market. Comparing it to its predecessor Mini 3, the newer version offers more value to its users for the price, an improved camera, high power and much more. The Mini 4 comes equipped with Apple’s A8 Chipset which is perfect for gaming, video editing and other demanding tasks coming down the road. The 7.9″ display with the resolution of 2048 x 1536 pixels is more than enough for an 8″ tablet delivering an extremely sharp visibility of texts. The colors are bright and vivid too making it ideal for photography and binge watching. 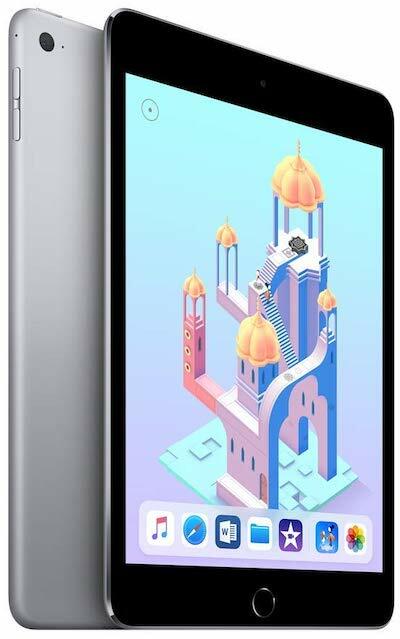 Overall, the iPad Mini 4 is a decent mid-sized tablet as long as you want an iPad that is more portable because the bigger 9.7″ iPad 2018 offers more processing power, specifications and support for Apple Pencil for nearly the same price, but you’ll be sacrificing portability if you opt for the 9.7″ iPad. In real time usage, you won’t notice any difference between these two iPads except the screen size, so you just need to figure out what screen size you want for your requirements. The Lenovo Tab 4 is the latest offering from the Lenovo. It is powered by an Octa-Core Snapdragon 625 chipset and 2GB RAM which together takes care of the overall seamless performance of the device. Switching between the apps is very smooth and efficient without losing the data stored in RAM, thanks to Android 7.0 Nougat. For gaming, we have a dedicated Adreno 506 GPU which powers up the gaming performance and supports all the latest games with ease. On the front, we have bright 10.1″ display which has the resolution of 1920 x 1200 pixels which is very sharp and clear, the brightness and color contrast is very rich with slightly saturated colors. The display is easily visible even in outdoor conditions, thanks to its bright and vivid panel on front. If we talk about the build quality, it is very strong and feels sturdy to hold in hand. For students and businessmen, Microsoft Office comes pre-installed so that they can start their work straight out of the box. Moreover, it also supports cellular connectivity, meaning now you can stay connected to the Internet even when you are away from your Wi-Fi. Overall, the Lenovo Tab 4 Plus is a well build budget tablet under $300 that provides decent specifications. Asus ZenPad S is one of the best tablets under $300, that you can buy today. It is sleek and good looking android tablet which offers powerful set of hardware specifications for the price. With that said, this is the only tablet in this price range that comes with industry standard 4GB of RAM and that makes it capable to handle all your multitasking, gaming and other similar demanding works. It also offers 64GB of inbuilt storage which can be further expanded via microSD card slot up to 128GB. It is powered by 64-bit Intel Atom Z3580 Quad-Core Processor which manages all of its power pretty efficiently to run Android 5.0 Lollipop without any hiccups on this device. Build quality of this tablet is also very solid to resist everyday wears and tears. It has metallic black texture on back and leather finishing on the edges which makes this tablet less-slippery and gives the confidence to hold it with one hand and on front there’s high resolution 8-inch IPS display with QXGA resolution. 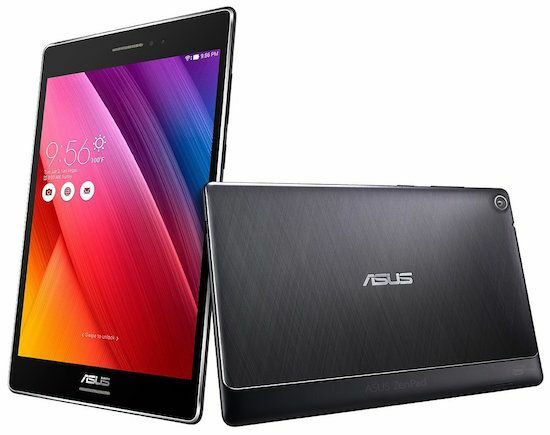 Asus ZenPad S offers lot more than what it asks for. Its high-end specs, slim form factor and relatively low price makes other tablets in same price range lay down and that makes Asus ZenPad S, a clear winner and hence it is one of the best android tablet under 300 dollars that you can buy right now. Asus Transformer Book is a 2-in-1 portable notebook. Due to its versatility and portability which it offers with its powerful set of specifications, this 2-in-1 tablet is worth considering while buying a tablet under $300. It is the best tablet for college students, businessmen or anyone who has to commute a lot every day. It is a tablet with 10 inch IPS display which can be attached with the keyboard provided in the box to use it as a laptop when you want to type long documents or emails. The keyboard also has a pretty responsive and spacious touchpad to use Windows 10 on this tablet comfortably. The processor fitted under the hood this tablet is also from Intel and it is a Quad-Core Processor which outputs enough power to comfortably work with all your software and apps. 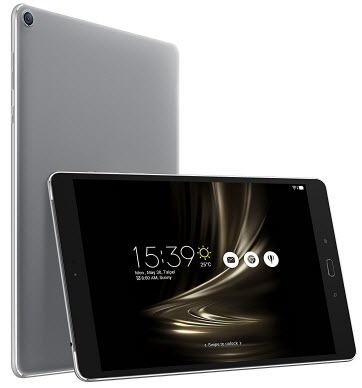 It has a laptop like 4GB RAM which is a huge plus to have and that makes this tablet the most powerful tablet among all others in $300 price range. 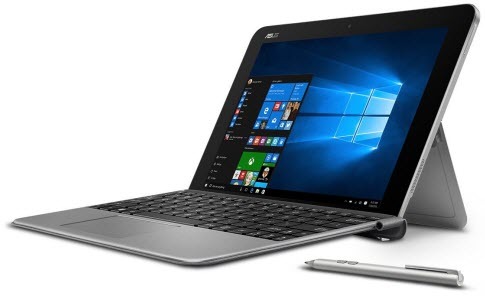 Asus Transformer Mini 10.1″ weighs 2.8lbs with keyboard and it has the battery backup of 12 hours. So overall Asus Transformer Book is a pretty nice package for all power users. Well, we have Surface Pro 4 currently out in the market but Microsoft’s 2 years back flagship – Surface 3 is still giving tough competition to all the budget tablets priced under $300. Of course, it has a premium build quality as it is manufactured by Microsoft itself and it also packs well-balanced power inside to get through all your everyday tasks. It has 10.8-inch widescreen Full HD Multi-Touch display which is largest among all the tablets in 300 dollars price range. Well, some people may not like this huge tablet worrying about the weight of it, but it weighs just 1.37 pounds so it’s still a feather-light, despite of being the largest tablet in the segment. Under the hood, there is powerful Quad-Core Intel Atom Processor and 4GB of RAM which makes apps and games fly on Windows 10 in this tablet. It has 64GB of SSD storage which can be further expanded via microSD card slot provided on the tablet. It also includes USB 3.0 and micro HDMI ports to easily connect USB mouse or keyboard and a projector to deliver presentations respectively. 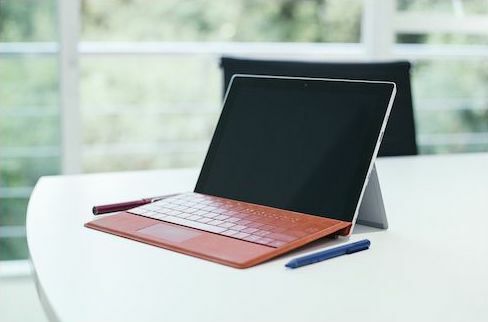 You can also buy Power Cover for Surface 3 from Microsoft which has a mechanical keyboard, touchpad and also extra battery to juice tablet for a couple of more hours. Microsoft Surface 3 is the best windows tablet for productivity. It can be best travel partner because of its lightweight chassis and even it can be the best tablet for school for students to complete assignments, take notes, surfing the web. 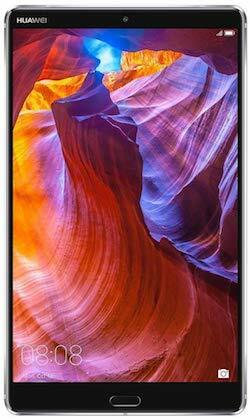 LG G Pad II is one of the most beautifully designed tablet under 300 dollars. It has got nice plastic casing on the back which looks and feels like metal but it is actually glossy so it is a fingerprint magnet. It is also a 10 inch tablet so bigger form factor hence lesser easy to hold it with one hand. The display on this tablet is really crispy with full HD resolution and color accuracy of it is also very good. It has Snapdragon 800 chip inside which powers this tablet pretty efficiently and its 2GB of RAM ensures smoother performance in every work you throw at it. It comes with Android 5.1.1 Lollipop operating system and LG has already sent Marshmallow update to this tablet so you’ll straightaway get the notification to update the OS when you’ll connect this tablet to wifi for first time. It comes with 16GB of storage which is very low but that’s fine because it has microSD card slot to expand its memory further and it is decently specced, considering the price of this tablet. 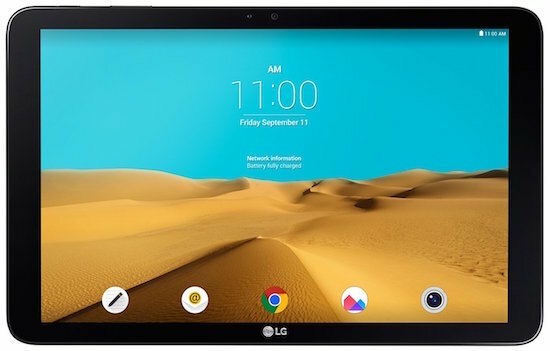 LG G Pad II is one of the most premium looking budget tablet available to buy right now and because of its fast quad core CPU and other unique features like reader mode and dual window support, this android tablet is promising and worth every cent you spend on it. These were our top picks of best tablets under $300. Each and every aforementioned tablet are excelling each other in one way or another. Read our short reviews of each and go with the tablet that suits best to your everyday requirements. Consider your purpose of buying the tablet, screen size, and your preferred operating system while selecting the tablet from our list. 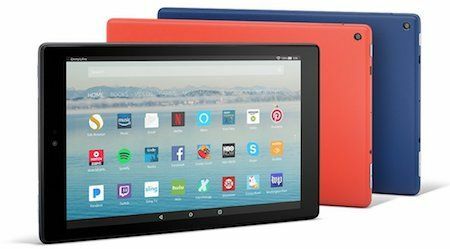 Fire HD 10 is the great value for money tablet for anyone on budget. From entertainment to work, it excels in all types of everyday needs of people. It has a full metal body with glass in front which makes this tablet look and feel premium. Its 10.1 inch HD display is sharp and eye-friendly for watching movies and reading books. Its quad-core processor with 2GB of RAM can handle multitasking and advanced graphics games pretty easily. It has a 5MP rear camera which is surprisingly good to take pictures and front-facing HD camera is also great for video calling. Android tablets are good but there are so many perks of choosing this Fire HD tablet over Android tablets, especially if you consume a lot of media everyday. The reason behind it is, all Fire tablets come with Amazon Underground which gives $2,000 worth of apps, games and books for free! It also comes with one month free trial of Amazon Prime which will let you stream all hit movies, TV episodes and lot more in full HD for a month. Fire OS Bellini is a feature-rich operating system with some of the most useful features like reading mode. 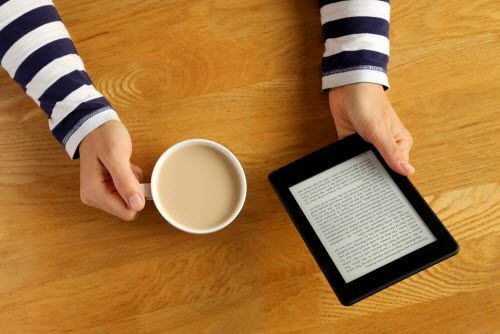 On enabling it, display reduces the emission of blue light for less eye-straining book reading experience. It also comes with parental control settings to restrict the use of this tablet from kids partially or fully. We hope this tablet buying guide help you to buy the best tablet under 300 dollars for yourself. In case if you need more tablet recommendations from us, then we suggest you check our buying guide for 8-inch tablets and buying guide for tablets under $400. Hi, I am looking for a tablet with long lasting battery and with good build quality. I prefer any android tablet or iPad. Hi Lawren, I would recommend you to go with iPad Air. I think it fits best for the requirements you stated. I’m looking for a tablet under $300 that has Android 7 or above. From our list, Asus Zenpad 3S, Samsung Galaxy Tab A & Huawei MediaPad M3 are upgradable to Android 7.0/1 Nougat from Marshmallow. However, if you want Android Oreo on your tablet, then we would recommend buying the Lenovo Tab 4 Plus as it runs on Android 7.0 Nougat out of the box and Lenovo will probably push the Oreo update very soon on that. My husband has a Toshiba Satellite that is probably 8 years old and he just loved it and never had problems. We forgot to make the upgrade to Windows 10 and now his laptop doesn’t work right. Should we buy Windows 10 or should I get him a tablet that offers Windows 10 and if so what is a good one closer to $300 or less. We are non techy people but a computer/tablet can be a necessity. He is wanting to write a book so he would need some type of keyboard. I don’t think so upgrading to Windows 10 would solve the problem here on your laptop, as you said it is 8 years old, its outdated hardware wouldn’t even support Windows 10. A new laptop/tablet hybrid is advisable at this point. Considering your budget, the best machine I could recommend is ASUS Transformer Mini 10.1 which is priced at $280. It is powered by an Intel Atom Quad-Core Processor and 4GB RAM which drives enough performance than needed. You will get 64GB of onboard storage for storing your files, 128GB is also available but it will cost you around $378. Windows 10 comes pre-installed on the device. And as it is a laptop/tablet hybrid, keyboard and stylus come included within the package. I’m a Masters student and I sit in front of the laptop all day long, which is heavy and not easy to read/highlight from. I download and read A LOT of PDF files and need to use Microsoft Word/Powerpoint/Excel programs very frequently. So i’m looking for a big screen and below 300 USD, what would you suggest best? Thanks a lot. And just wanted to say Thank you for this very much useful article. The best I could recommend for your requirements under $300 is ASUS Transformer Mini 10.1″ which is a laptop/tablet hybrid. It has 10.1″ IPS screen on the front which has resolution of 1280 x 800 pixels. Under the hood, it is equipped with an Intel Atom Quad-Core Processor and 4GB RAM which will drive enough power for your use. Moreover, the keyboard and stylus come included within the package which together weighs around 1.8 pounds, making it one of the best portable laptop/tablet hybrids for productive users. Hey! I am in the market for something like the Surface Pro but not the price of a surface pro. Here is the deal…my daughter uses the Pro at her school…its theirs…she wants one for home to do “homework” (Translation: games, video, and she does like to draw and do art with the stylus…she also likes the 3D painting AP via Windows 10)…so…she keeps asking for one. 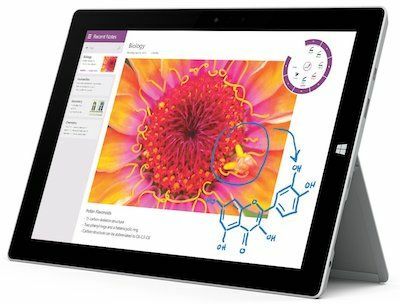 I cannot see spending the Surface Pro money for a 9 year old…however…I would like to know what you consider the best bang for the buck is “around $300″…it will be connected WIFI and rarely leave the house so I don’t see that the weight matters much…I also dont want to buy a hunk of junk…thanks a ton for your input and I appreciate the article…I read it 3 times and still sitting here what to do…ha ha. I think the ASUS Transformer Mini will be the perfect here in your case as the stylus and keyboard come within the package so that your daughter can start drawing right out of the box. It might not be as powerful as the Surface Pro 4 in terms of performance but an Intel Atom Quad-Core Processor under the hood gets the work done. The 64GB internal storage should be fine for your daughter as she uses it for homework and drawing stuff, however, if you feel that 64GB isn’t enough then there is also a 128GB variant which goes above $300. So I’m a college student who’s a film major. I wanted to find a tablet that would work for taking notes and occasionally editing videos. I assume I’ll also use it for playing games. As previously stated, I am a college student so funds are tight. What would you recommend for under $300? For the requirements you mentioned, I think the iPad 2017 Model will be best. It is powered by Apple A9 chipset which can easily render videos up to 1080p in iMovie or any other video editing app from the App Store. And as far as gaming is concerned, the iPad 2017 Model features PowerVR GT7600 (six-core graphics) under the hood which will let you play any game at highest graphics settings with ease.